Matsutake mushroom (pine mushroom) – a delicacy from Japan are highly prized by the Japanese for its distinct aromatic scent and flavor. 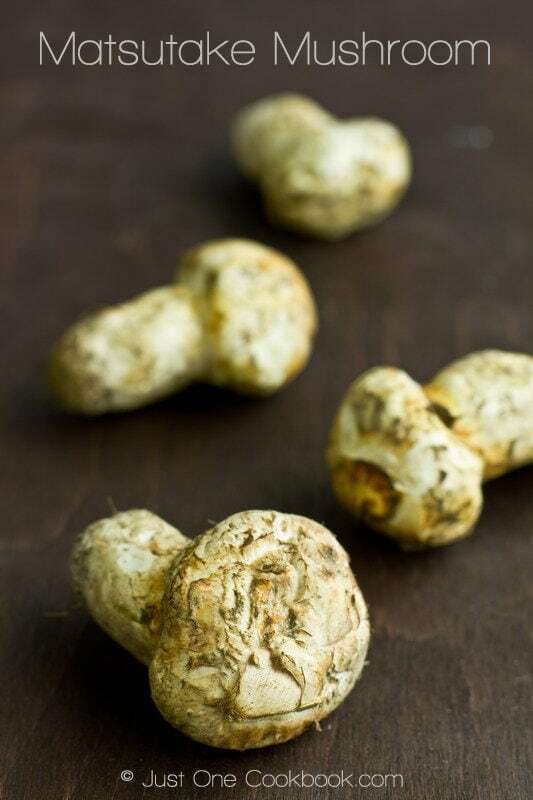 In Japan, wild matsutake mushrooms are hard to find and the high quality ones can cost up to $1,000 per pound and the exotic ones for up to $2,000. Luckily, we are able to find them in the local Japanese supermarket for about $40 per pound (US grown). Living up to its reputation, the aroma and flavor this mushroom offer is simply amazing. 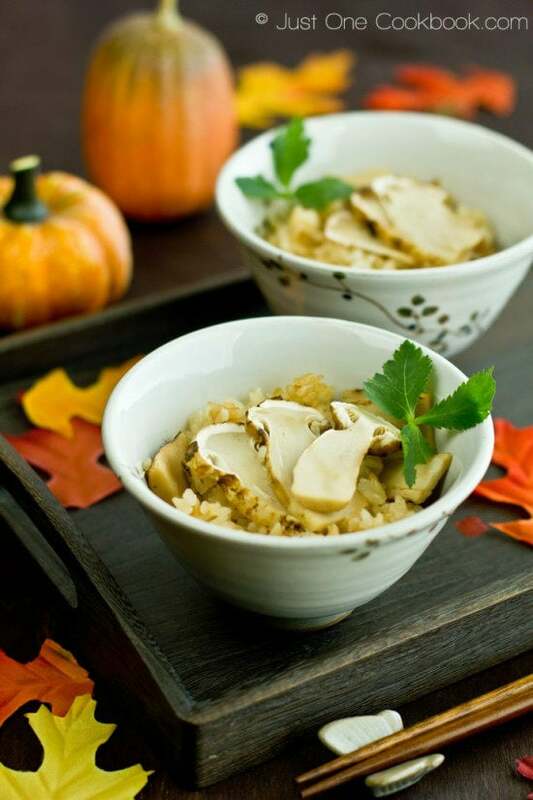 Matsutake Gohan (Seasoned Rice with Matsutake) is probably the most popular and well-known matsutake recipe in Japan. Its flavor and essence has been compared to France’s truffles. During my research, I became curious on the differences between truffles and mushrooms. It turns out truffles and mushrooms are both fungi, the key difference is mushrooms grows above ground and truffles grow underground. Isn’t it interesting? 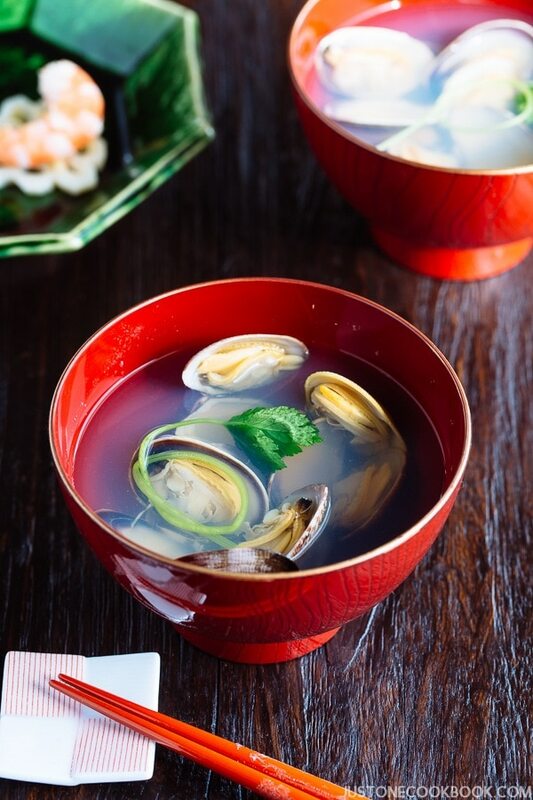 A delicacy from Japan are highly prized by the Japanese for its distinct aromatic scent and flavor. Rinse the rice with cold water. When water is half-translucent*, drain water and transfer the rice into a sieve and set aside for 30 minutes. Trim off the bottom of the mushroom stem. Thoroughly clean the mushroom with damp towel or paper towel. Do not wash the mushroom. Slice lengthwise into ⅛” slices. Put the rice and Seasonings in a rice cooker, and add dashi stock until 3 cups for White Rice. 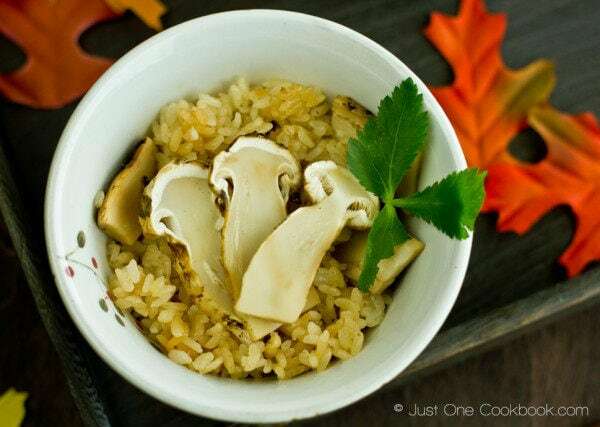 Add matsutake mushroom on top of the rice and start cooking. You do not need to mix. When the rice is cooked, mix it gently. Garnish with Mitsuba before you serve. *Unlike old days, rice is now milled very well so it’s recommended not to continue washing until the water is clear. Nami, I love this post! Is it true they have a strong smell? (Hiroyuki told me this I think, but my husband doesn’t remember: he loves very smelly cheese, so he wouldn’t mind anyway!). This dish looks so fantastically delicious! I have never put anything apart from water in my rice cooker. Thank you for this wonderful idea! I think it’s an excellent idea to introduce us to the typically Japanese food, but a bit less known. (I have a very shy question: do you think I could try something like this with eringi?). Am I the first here???? Wow!!!!! It’s a historical date! Hmm. Lucky to get a hold of these! The whole thing looks just delicious! I d never heard before of pine mushrooms, and it was a delight reading your informative articel and looking at your mouth watering Photos. I just wish I could get Matsutake right now here, to try and surprise my husband with a speacial new style of a dish and unique flavoures. Wow Nami! I have never tried matsutake before, but it sure looks like a real delicacy. Nami, I’m so glad I was able to comment early on, before my comment gets lost in the “shuffle” with another 100 more comments…ha, ha! I left you a comment on twitter, but did not check back since, to let you know about the book, that its been mailed out. Actually, you should be receiving it by tomorrow, or maybe today! Nami, i would really love to come and spend a few days with you in your kitchen! All of your meals are so incredible! Pine mushrooms are new to me but this sounds hearty, comforting and so delicious. Thanks for sharing, Nami! Nami, I love Matsutake Gohan!! I saw that they were on sale now, but didn’t get any. After seeing your post, I’m craving Matsutake :o) I will have to go back and buy some! Yours is very decadent, you don’t skimp on the Matsutake!! Your new look of your website looks great! You and Shen are such a good team. I love the new blog look! Clean and sophisticated, bravo! Now I don’t really have a ton of money to afford matsutake mushrooms, would there be a good substitution? This Matsutake is very seasonal one, but we eat this kind of mixed rice all year around. I’m planning to share more rice dish (we call it “Takikomi Gohan”). We put vegetables, chicken, mushrooms… you can replace Matsutake with other kinds of Japanese mushrooms like shiitake, shimeji, eringi, etc. It’s really delicious. The seasoning is usually the same – soy sauce, mirin, sake, and dashi stock. Really interesting! I love learning about new vegetables and cooking techniques from your blog Nami! I had no idea that mushrooms could be so pricey. I also always look forward to your presentations and I am never disappointed. I have never had this but it looks so so super delicious. And love the picture. Really interesting..thanks for pointing out the difference between truffles & mushrooms..never knew that..this rice looks perfect to be pair up with a chicken or vegetable stir fry! Love the updates on your blog Nami..it looks so professional! Did you change the layout again? I like the look, though. Some reasons now my computer loads much faster than before. It’s getting super cold here. I never heard of Matsutake mushrooms! They would be perfect for a risotto or a pasta sauce! I will have to check my Asian store to see if they have any so that I can compare them with my beloved porcini! Oh and great new layout! What a beautiful, comforting TREAT — love your presentation! I saw some handmade rice bowls at an art fair this past weekend and now I’m wishing I’d bought one. (Next time…) The idea of the rice warming your hands is so beautiful — it also means that those truffle-like mushrooms are right under your nose — what a way to take in the aroma… Buzzed! Nami – what a delicious recipe for fall!! ‘ll have to check for these mushrooms next time I go to the Japanese market. I love mushrooms so I know I would love this dish. Thanks nami!! What a great dish! I love mushrooms… these look as good (and as expensive) as fresh porcini mushrooms! I can almost smell them through the screen! YUMMMMM! Nami! I must said this mushroom rice look so appetizing. Although i have never seen or tried pine mushroom b4 but this is definitely a great post 🙂 Love the last photo!!!! Nami – this looks delicious and your pictures stunning as always! What a beautiful mushroom…it reminds me of truffles with regards to the cost! 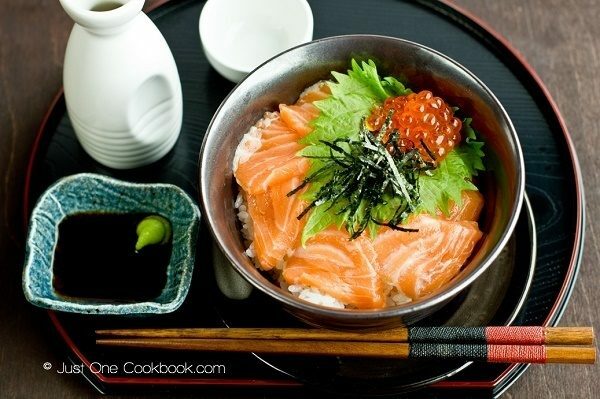 This is such a wonderful dish Nami. I am not a huge mushroom fan but some of the family is. I find them fascinating and visually intriguing. I actually wish I like the taste. Maybe some fancy ones like these might change my mind. I’ve never had truffles though. Not sure I’d know the difference if push came to shove. Your pictures are fantastic. Hope you are having a wonderful week! When my husband and I use to backpack in the mountains during the monsoon season, we would take our mushroom ID book along and pick wild mushrooms to cook with. A couple of them that we found were definitely worth $1000/lb! So sweet and tasty! These mushrooms remind me of one of our favorites. I’ve now put matsutake mushrooms and dashi on my list for the Asian market along with other items you’ve introduced me to! 🙂 Beautiful dish! Beautiful new look Nami and I ‘m still dazzled by your award for most valuable blogger in San Fran… wow!! I’ve not heard of pine mushrooms before – they look so elegant and this dish is just wonderful. Hi Nami, your blog has new face! Good for a change. Me too, I’ve never heard of pine mushroom. Must be delicious. Thanks for telling the difference between mushrooms and truffles…Never knew that. Nami why am I not seeing the new updated website :-(, something wrong with my browser or do we need to open it only in particular browser? God I want to see the new look……..
Yum I love these kind of rice dishes!! Love your seasonal photos Nami- so cute!! This mushroom is new to me, just curious the taste, next time i must look around when i shopping in Japanese section of a supermarket. Yes, that is the miso in my fridge, you have sharp eye sight, Nami, hehehe..
Now I want to taste Matsutake mushrooms 🙂 Your rice looks so wonderful! I never heard of those mushrooms before, but they sound like something I would like to try and I love the rice. I still haven’t been able to find the packaged dashi. Those mushrooms look interesting and your dish really appealing! That looks excellent! Husband just flew home from Tokyo last night bringing home Ponzu, mirin, sesame etc…. Looking forward to using them now. What a great way to dress up rice! I’m sure my husband who says he hates rice would love this one! That’s so crazy how expensive those mushrooms go for! But, I bet it helped make this rice even more flavorful and delicious! Nami, sometimes it is difficult to get all those ingredients for a particular exotic dish, especially if that dish doesn’t belong to the country you live. I am amazed how you managed to find out these mushrooms in CA! Great recipe and my mouth is already watering! Great!! Wow, what a lovely dish Nami..well all your dishes are awesome! Love the new layout, very professional.. Nicely done my friend!!!! This looks amazing, Nami. I adore mushrooms and would love to have access to all of these varieties! A very simple recipe that has a truly filling result! I know I should try this! I love mushrooms but I must admit that I haven’t tried matsutake mushroom. Looks like I’ve been missing something really good! Hi Johnny! You’re welcome. 🙂 Hope you liked it. A mushroom that’s pricier than steak. I have to try this at least once. What a wonderful post. This looks amazing. Simple, delicious! Love this recipe already. $1000 and $ 40 out here :O :O that is soo expensive! Like how simple the recipe is. I am going to definitely try this with some simple mushroom! Never heard of these mushrooms before – love how I learn something new every time I visit your site! Love the autumn layout of your photos too! Wow, this dish looks amazing– such great comfort food! I haven’t heard of this type of mushroom before but it always fascinates me how expensive different types of mushrooms can be. I’ve heard good things about this mushroom! I can almost smell the aroma through the screen…YUM! I don’t think I’ve ever had matsutake mushrooms before! 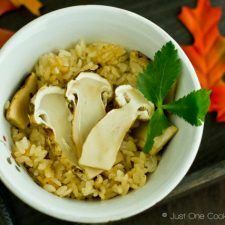 This looks like a treat and perhaps the Japanese version of my favourite risotto al funghi!! Well done Nami, your recipes are always so inspiring! hat is funny right after you mentioned the prices i thought of truffles and you brought them up right after. I never hear of the mushrooms but would love now to try them…if I see them on sale, somewhere? I always get a new learning when I stop by here. 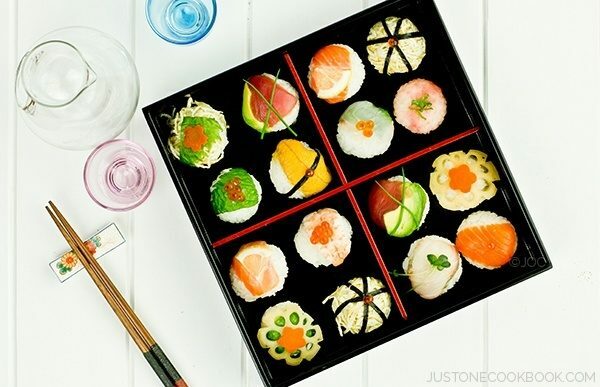 So many interesting new things about Japanese cuisine beyond sushi or sashimi haha. Lovely presentation and stunning pictures Nami. You are a great wonder! Simple dishes are ususally the nicest aren’t they and mushrooms, of any kind, take the crown for me. Your recipes are delicious! This dish is beautiful. I can’t believe there are mushrooms in the world that are so expensive. What a great find at the market for you! Those mushrooms are so pretty! I can imagine how tasty and comforting this must be! I never know this kind of mushrooms until i stumble at your blog, thank you. I heard this mushroom before when I was watching Iron Chef and it was said very expensive. I wonder how it tastes. I picked up some matsutake mushrooms the other day at Nijiya and followed your gohan recipe and it was absolutely lovely! Loved the aroma as well as the taste =) Looking forward to more autumn recipes, Nami. Thanks for sharing. Truffles are mushrooms! And they share the same habit as matsutake. They have obligate mutualistic symbiosis with tree roots both the fungus and trees benefit, it is called mycorrhizae. Also, these mushrooms can not be grown and thus all are harvested wild. Hi Mrs. Lollipop! Actually dashi is the key ingredient for this recipe and it’s something you can’t really replace with. 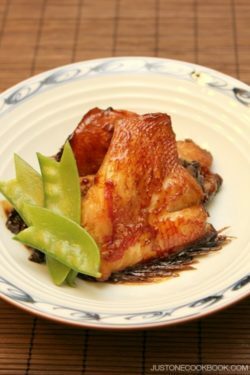 You can use chicken broth if you like, for example, but it’s COMPLETELY different dish (not Japanese style rice dish). 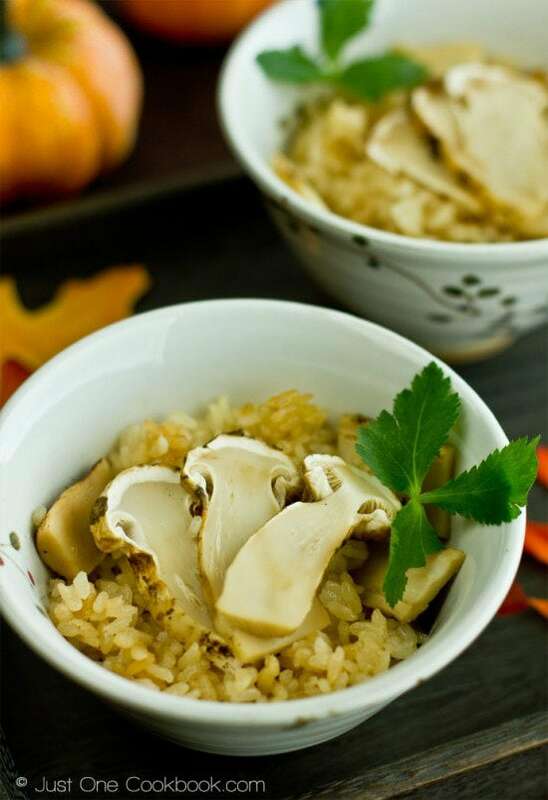 With dashi, you can use other kind of mushrooms, or other ingredients to make this dish, instead of this special mushroom. Hope that helps. I found matsutake at Berkeley Bowl for $17.95 a pound. I considered this a “bargain,” So I’m making matsutake gohan today for my mother. Hi Nami! Thank you for your wonderful and informative blog. 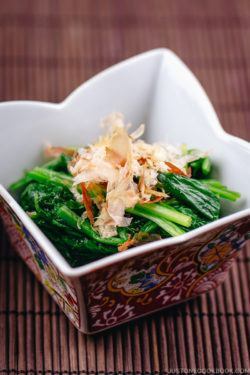 You make it easy to make delicious Japanese recipes at home! 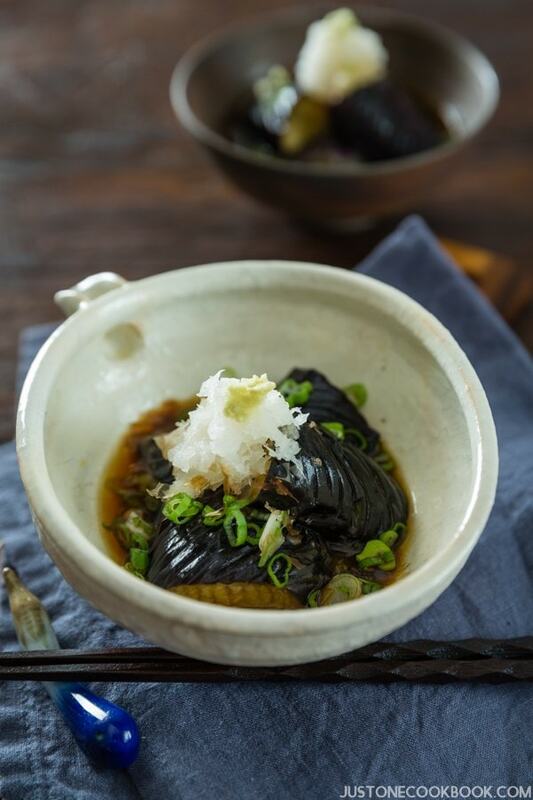 I found dried Matsutake and want to know how I can use them to replace the fresh Matsutake for this Gohan recipe? I want to serve it with a side of grilled salmon, is that a good match? 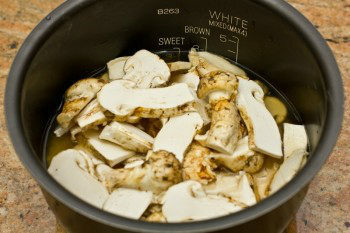 Dried matsutake is always more flavorful (just like dried shiitake has more fragrance and flavor). So reduce the amount by half. I think it’s a great match and thinking of it make me drool. 🙂 Hope you enjoy the dish!